Every year in the USA nearly a half million people have their gallbladder removed surgically. If you still have yours, you probably don’t spend much time thinking about it, even if you are very health conscious. The purpose of this article is to show the importance of the gallbladder to health and what you can do to keep yours if you should begin to have problems. The gallbladder performs some very important functions that make it worth keeping. The most important is to regulate flow of bile to optimize fat and fat-soluble nutrient absorption. Bile is produced by the liver and released continuously in a small, steady trickle. 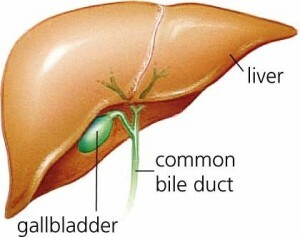 The bile is caught by the gallbladder and stored for use. When you eat a meal containing fat, the fat is not digested by the stomach. The undigested fat passes into the duodenum, the first portion of the small intestine. Receptors there sense the fat and trigger the release of the hormone cholecystokinin (CCK). CCK stimulates the gallbladder to contract, expelling a quantity of bile. The bile arrives at the exact time and in the exact amount needed. The bile emulsifies the fat (breaks it down into small particles) so that the fat-digesting enzymes from the pancreas can do their work. Without the gallbladder, that coordination is lost. The small, steady trickle of bile from the liver is still there, but it is no longer matched to the amount of fat eaten either in quantity or timing. In this case, the fat is not digested, and can’t be absorbed into the body, so it just passes on out. Unfortunately, the fat-soluble vitamins (ADEK) also just go out with the undigested fat. Even if you have an adequate intake of these vitamins, you may end up with a deficiency. However, an obvious deficiency may take years to develop, and the symptoms are not usually identified for what they really are. Also, they are rarely traced back to gallbladder removal. Back in the 1960s, a Dr. James Breneman, who was chairman of the Food Allergy Committee of the American College of Allergists, came up with a way to prevent gallbladder attacks. He asked 69 individuals who suffered from recurrent attacks of gallbladder pain to go onto an elimination diet to determine their food allergies. All 69 people were completely free of gallbladder attacks when they avoided their individual food (and other) allergies. All 69 had their symptoms return when they ate the foods they were allergic to. 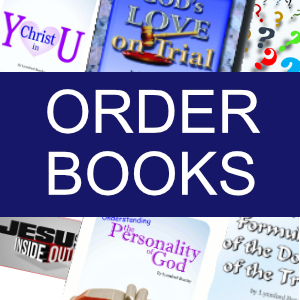 The primary offending foods were eggs (92.8 percent), pork (63.8 percent), onions (52.2 percent), chicken and turkey (34.8 percent), milk (24.6 percent), coffee (21.7 percent), and oranges (18.8 percent). Other offending foods were corn, beans, nuts, apples, tomatoes, peas, cabbage, spices, peanuts, fish and rye. In addition, 14 of the study participants had gallbladder attacks caused by medications. Food, medication, and other allergies vary from person to person, and the same allergen can cause different symptoms in different people. If you have a problem and think it may be due to an allergy, it is best to work with someone knowledgeable and skilled in nutritional and natural medicine. If you are not able to do this, and you have a problem you think may be caused by allergies, then eliminate from your diet the foods found in the above list. If the problem goes away in a few days, then add the foods back into your diet one at a time. If the symptoms reoccur, then you have found the problem. Most doctors use Dr. Breneman’s treatment when someone is admitted to a hospital with gallbladder pain. They take away all food and give the person IV fluids until the pain goes away. Unfortunately, most doctors don’t realize why this works. The primary valid reason to remove a gallbladder is the situation where a gallstone has slipped into the bile duct and is too large to pass through. This results in bile backing up into the system. The skin and eyes become yellow and severe pain occurs. The person will feel very sick. This qualifies as a medical emergency. Most people with gallstones have no symptoms. These are called silent gallstones. Many surgeons will remove the gallbladder of anyone having gallstones, as a preventative measure. When allergy avoidance stops gallbladder attacks, it stops them whether gallstones are present or not. If you still have your gallbladder, do all you can to keep it. If your gallbladder is already gone, what should you do? You are probably on a low fat diet. This puts you at risk of essential fatty acid deficiency as well as fat-soluble vitamin deficiency. Also, if you eat more fat, it won’t be digested. There is a nutritional supplement consisting of bile salts in tablet or capsule form. This can be taken anytime you eat a meal containing more than a tiny bit of fat. It will help to digest the fat. It is not as efficient as the body’s natural means, but will help to increase assimilation of nutrients. If you are vegan, and can’t stand the thought of eating anything of animal origin, I don’t know what to suggest to replace bile salts. Lecithin is an emulsifier and might help some, but would probably not be as efficient as bile salts. The best solution, of course, is prevention. Keep your body intact, if possible. Eat a nourishing diet and do all the other things mentioned in these articles to maintain good health.